The 2017 Toyota Avalon is a leader in the premium full-size sedan category. 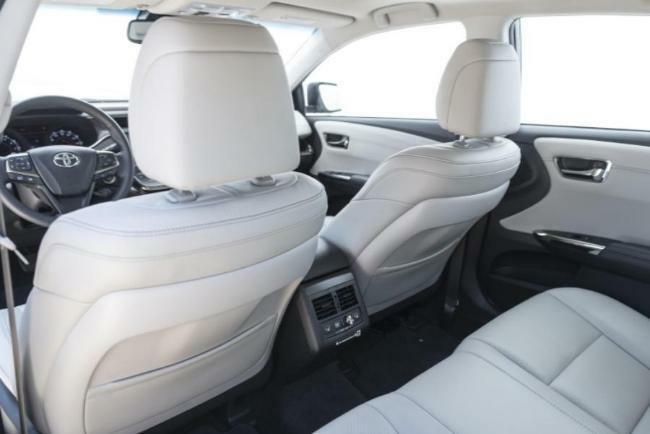 As Toyota’s flagship, it scores high marks for style, convenience, and comfort. 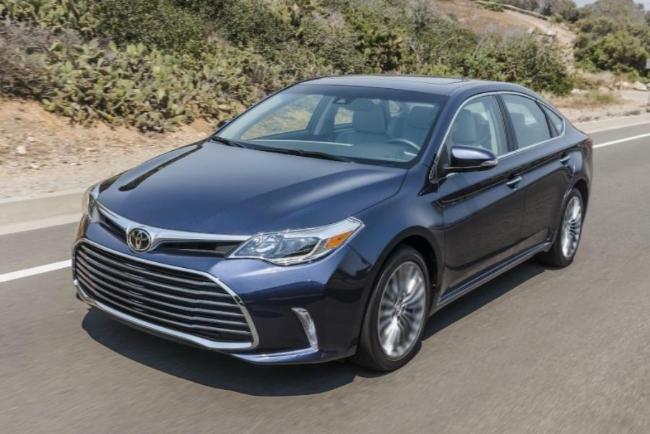 Since its debut in 1994 as a stretched version of the Toyota Camry, the Avalon has filled the need for a roomy, smooth-riding traditional sedan with luxury touches. The 2017 Avalon can lay claim to even higher levels of luxury. It now shares a platform and many components with the Lexus ES. As a result, the 2017 Avalon can legitimately be considered a luxury sedan, both inside and out. Even leather-trimmed seats are standard on every model. The biggest news for Avalon for 2017 is the addition of several advanced safety systems, all of which are standard on every Avalon model. Toyota Safety Sense-P (TSS-P) equips the Avalon with Dynamic Radar Cruise Control, Automatic High Beam, Lane Departure Alert with Steering Assist, and Pre-Collision System with Pedestrian Detection. These state-of-the-art driver assistance systems help to protect you on both highways and local streets. The 2017 Avalon is available as both a standard version and as a hybrid. The standard Avalon comes in XLE, XLE Plus, XLE Premium, Touring, and Limited trims. The hybrid can be had in XLE Plus, XLE Premium, and Touring versions. The 2017 Avalon is a fuel-efficient and powerful sedan. The standard Avalon is powered by a 3.5-liter, DOHC V6 that produces 268 horsepower. Paired with a 6-speed automatic transmission, the V6 provides satisfying acceleration and achieves an EPA-rated 21 MPG City and 30 MPG Highway. * Steering-wheel-mounted paddle shifters and a choice of Eco, Normal and Sport driving modes let you drive for maximum economy – or maximum fun! In addition to the installation of Toyota Safety Sense-P as standard equipment on every 2017 Avalon, Toyota has built in a variety of other active and passive safety systems. There are ten airbags,, including driver and front passenger Advanced Airbag System, driver and front passenger seat-mounted side airbags, driver and front passenger knee airbags, rear seat-mounted side airbags, and front and rear side curtain airbags. The front seats are designed to lessen whiplash injuries during rear-end collisions. Collision sensors deactivate the high-voltage battery in hybrid models. A complimentary one-year trial subscription to Toyota’s Safety Connect service includes Emergency Assistance, Roadside Assistance and Automatic Collision Notification. If you are looking for a high-quality, spacious, luxurious, and supremely safe sedan that does not break the bank, check out the 2017 Toyota Avalon at Hometown Toyota in Ontario. Contact us today to set up a test drive – we look forward to showing you everything the 2017 Avalon offers!